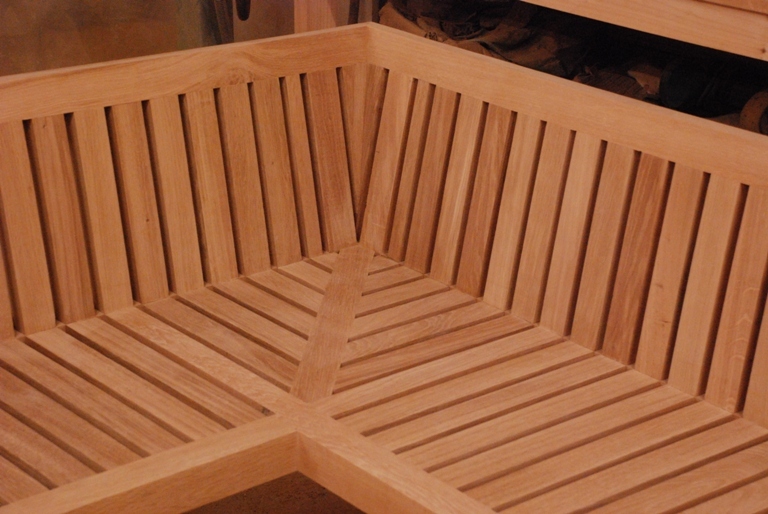 I’m always talking about English Garden Joinery and there’s a reason for that…they’re brilliant at what they do and they’re great to work with! The best thing about them is their ability to take a concept idea and work with you to develop the design into something really amazing. They also love a challenge so they’re very happy if the task in hand involves a bit of head scratching. Rob has been a joiner since he left school and brings a wealth of experience to the table so is a great resource for me as a designer because I can sound out ideas with him whilst I’m working on a design. 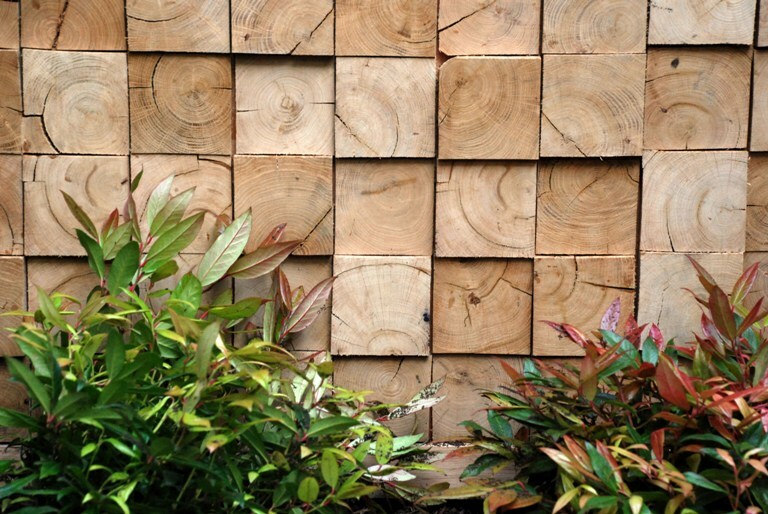 His portfolio ranges from summer houses and arbours to planters and furniture…and everything that falls in between. 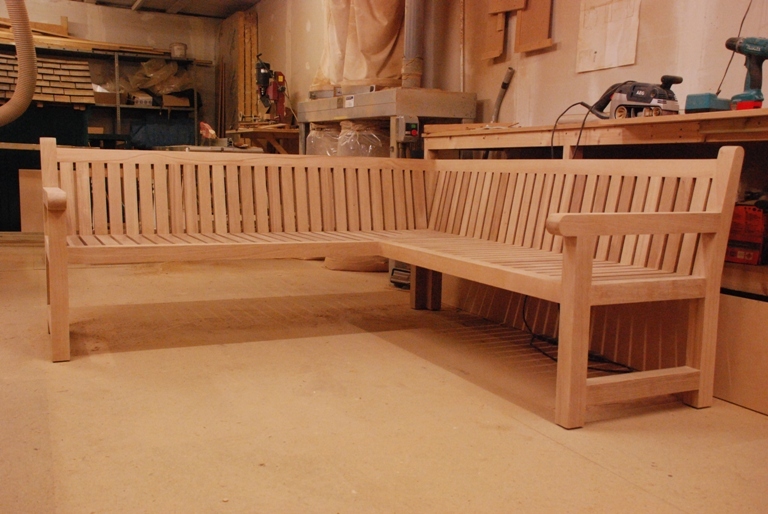 Rob took the sketch from the designer and developed the design so that the bench could be constructed without a corner post at the front….I think you’ll agree that it looks much more elegant. 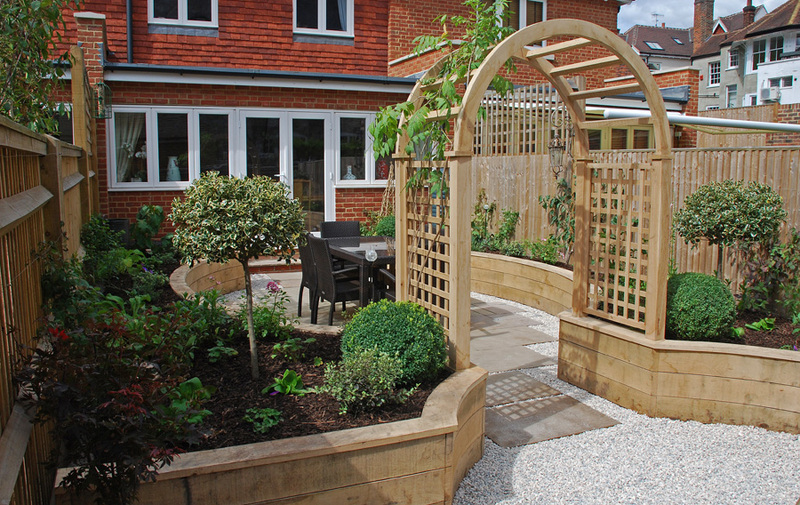 Raised beds and an archway at a project in Reigate. The oak heartwood panel to hide an ugly corner. They have also been very much involved with RHS Chelsea Flower Show over the past 2 years. 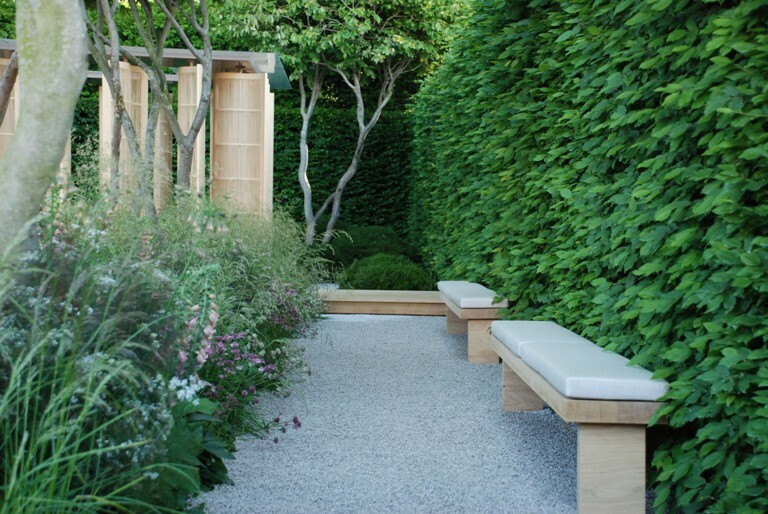 They built the RHS show stand and the Thrive Garden in 2010 which won Gold and Best in Show and they also built the bridge and furniture for the Laurent Perrier Garden designed by Luciano Giubbilei at Chelsea 2011, also awarded a Gold medal. At the moment they are just finishing off the timber work at my project in Sutton so I will share the pictures from that very soon. 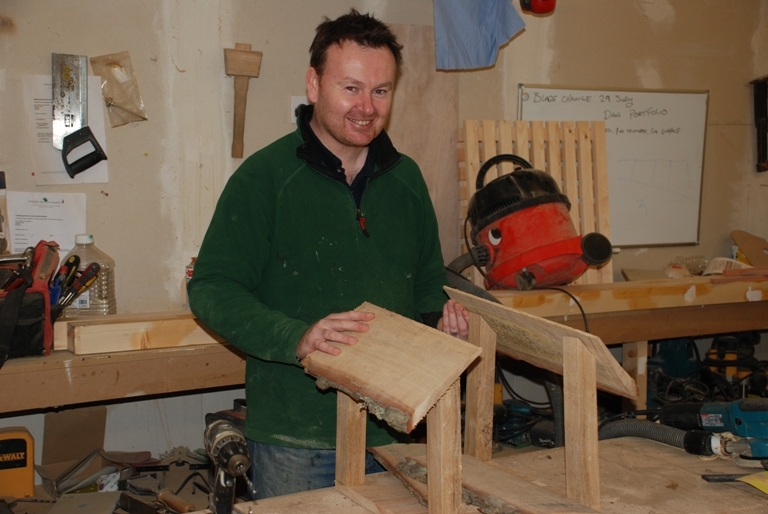 They are also in the process of developing a range of garden accessories, planters, animal hutches, dovecotes and furniture, that sort of thing – watch this space, you may well see a Lisa Cox Garden Designs range in the future! I like your sense of balance.